Life has been ultra crazy, productive, inspiring, challenging, and fulfilling lately and I owe it all to this wonderful world of mom blogging. I get to create content I love, with people who get me and share my passions (you! ), and I can be a happy, albeit a bit frazzled, mom and wife who can be an active part of her family’s life. Aside from that, I get to attend amazing blogging and social media conferences where not only I get to hone my craft, but also meet other mom bloggers who are confident enough to share with me their know-how and a helping hand. I’m on my way to one of those conferences—Mom 2.0 Summit in Key Biscayne, FL. I get to go there thanks to the sponsorship from the Microsoft Windows team who have been nothing short of supportive of all we do. And, as working moms who are putting everything into this labor of love blog, we need this support from brands that get us and you. I’ll be capturing all the Mom 2.0 Summit action on my stylish and lightweight Lenovo IdeaPad U300 and using my Windows Live Suite to blog with Live Writer, jot notes and action steps with OneNote, edit my pics with Live Photo Gallery and keep it all safe in Sky Drive. But since we hate to brag and be all me-me-me, we’ve hooked up a second Lenovo IdeaPad to give away to one ultra lucky SpanglishBaby amiga in celebration of mamás! A busy mom like you who’s on an important mission of raising bilingual and bicultural kids needs to stay super connected to technology that can help you access the best online tools for learning and interacting. Check out HERE all the cool features the ultraportable and fast Lenovo IdeaPad U300 has so you can get ridiculously excited…it’s ok…I’m excited too! Also, just in time for Mother’s Day, we wanted to share some great tools for you to connect with the mujer (madre, abuela, tía!) you love! · Tip #1: Use Windows Live Messenger (Window’s free video chat service) to say ‘Te quiero’ to Mom! · Tip #2: Create a custom Mother’s Day card in Microsoft Paint, a feature in Windows that you can use to draw, color, and edit pictures. · Tip #4: Share images on your Pinterest boards using the Windows Mother’s Day photos. If you’re on Pinterest, you can also enter the Say Thanks to Mom contest where you could win an Acer Aspire S3 laptop. More info here. This giveaway is now closed. Congratulations to the winner: Stacy ! We’re giving away one Lenovo IdeaPad U300 to a lucky winner!! To enter, all you have to do is tell us who this laptop will be for and which of the Windows Live Suite products you love the most. Get SpanglishBaby in your inbox! 2. Follow us on Twitter and tweet about this giveaway including a link to the post, @SpanglishBaby and #WindowsChampions hashtag. Copy the link to the tweet in an additional comment on the giveaway’s post. This giveaway ends Sunday, May 13, at midnight PST and is open to everyone over 18 years of age in the continental U.S. Void where prohibited. No purchase necessary. Check out the Giveaway Rules. This laptop will be for my 6 year old daughter. hotmail is my favorite window live feature. This would be for me. Microsoft movie sounds interesting! Also subscribed via email. Love your blog & the laptop looks beautiful! Also, can’t forget the most important step: my favorite Microsoft Live Suite product is the Messenger. My daughter uses it all the time to video chat with her abuelita in Ecuador! I would probably use it the most, since I’m the web junkie of the family, but my husband is definitely a gadget guy, so we’d probably have to share! Considering that my computer keeps crashing on me, I could so use a new one right now, so it would be for me. I would love the Windows Live Photo Gallery. We have so many pictures that we like to share with family out of town and out of the country. I also subscribe to get blog updates. Gracias! This would be for my husband, and I like the Live Photo Gallery best! I would use it myself and also for my oldest who loves to play education games. I have an old PC which is slow. My favorite product is the messenger. This laptop would be for my mother! She has been wanting a new one! Also, we both love the Windows Live Photo Gallery since we have a “bazillion” family photos. If we won the laptop, it would be a family laptop. We actually really need one, because the kids are now at the age to where they need to have a laptop or computer to use for school and homework. I personally love the Live photo gallery, and I know the kids would love Paint. Thanks forthe amazing chance to win! If I win, the laptop it would be for me but I am sure I would have to share with my nine year old daughter and my husband. I love the photo gallery because we love taking pictures and it would be very useful. It would be an awesome mother’s day gift for me! I have an old desktop pc that is very slow and can not be upgraded. Sometimes it takes more than 20min for it to start up so I could use it! I will share it with my husband and kids! I like Messenger. It helps me to stay in touch with my family and friends. If I won this laptop, it would be for my wife – she desperately needs a new laptop so she won’t have to keep using my computer all the time. I really like Windows Live Photo Gallery. Hi! This would make an awesome mother’s day gift to me from me (bueno, you) with all my love and affection. I really need a new computer so this would be perfect. I would love to try the Windows Live Movie Maker. Gracias!! This would make my life soooo much easier!! Mommy would use the laptop of course. I am Mom AND an Elementary Spanish teacher on a cart. How great would it be to be able to bring video and computer files to my classes instead of having to reserve a special room in advance!?! I am badly in need of a new laptop, so if i win, this would be for me. I love movie maker and photo gallery! The laptop would be for my Mom and I love Live Writer! The laptop would go to my mother. I like hotmail. I would love to have a laptop since I work from home but feel chained to my desk so would offer some freedom. Hotmail is my main email so used that often. If I won; I’d probably keep for myself. I’d like to give to hubs but he wouldn’t accept it…he isn’t real computer savvy. I think the movie maker sounds interesting. I subscribe via email. Thanks for the chance! I would keep the laptop to replace the one I have now that is on its last leg and I have at least 2 more years of school left. I would want this laptop for myself , I am working on starting my own business and this would come in handy BIG TIME!!! I don’t currently own a laptop, my desktop is like a ball and chain : ( I love the Video Messaging feature because Video Messaging will actually be a big part of my business!! Gracias por la oportunidad! I also subscribe by e-mail already!! Yay!! This would be for me! I work part-time from home with my kiddos and I NEED a highly portable laptop! I like the Windows Live Photo Gallery! And I liked you on FB!!! This laptop would be for my middle niece! I love Hotmail! This laptop would be for my husband who presently has a desktop that is 8 years old. I love Paint to create great projects. I subscribed via my email! The laptop would be for me!!!!! Hehehe. I’ve been needing a new one for such a long time. As a blogger, it’s essential for me to have a good laptop. My favorite Windows Live products are Windows Live messenger, and Windows Live Photo Gallery. They’re fun, and they help me connect with my friends around the World! I subscribed to get blog updates on my email! The laptop would be for me, and the Windows Photo Gallery would help me with my photo management. This computer would be for me. LOL. I love the Windows Live Photo Gallery! Follow you @theexactlee and Tweeted! If I win this laptop will be for my daughter because my son broke my daughter’s laptop. I forget to say that I love Windows Movie Maker. I’m sure I would use this and would love to try out the paint program. THe paint program sounds awesome! My favorite windows live feature is of course my hotmail, it’s been my #1 since i was in highschool so over 10 years., I also use messenger to communicate with all the familia around the world, and i’ve used skydrive once in a while because it’s just easier than carrying a usb stick that i know i’ll loose in the purse…. i follow you on twitter, & facebook! and always forward most of the articles to family & friends… thank you! It would be all for ME . I love hotmail. Love all the products! My post is above, I forgot to add this part. This lap top would be for my daughter Makayla. she is 10 years old and a budding artisit! I have just recently purchased her a drawing tablet and it would be amazing if she had her own space to get creative <3 Love all the products! I love the Live feature! Being able to chat live, online is so much fun. As much as I’d want to keep it for myself, it would be a Father’s Day present for my amazing Esposo. I’d keep it for myself! And my favorite would be Messenger. I would LOVE this Ideapad to use for the entire family for all the functionality it posses! This lap top would be for me because i’ve earned it! I have to give myself props, hahahaha. After getting laid off last year from my “9 to 5″ job. I decided that working the long hours and missing many of my older son’s school activities and some bedtimes would not be acceptable anymore. Not to mention, I recently had my second son. I made it my mission to figure out a way to make it work monetarily and be a stay-at-home mom. It’s been challenging and the pay cut has hit us hard, but perseverance has thankfully made it happen. I now run two businesses, one teaching parents and children Spanish through music and movement, I also help families calm and soothe their newborns and help their babies become better sleepers. Both of my businesses require that I be online quite a bit but we don’t have the monetary means to purchase a new laptop so I can run my businesses effectively. Having a new lap top, instead of my 8 year old lap top, which is the only computer we have, would be an incredible gift for me this Mother’s Day. It would mean, I could be more efficient and spend more time with with my boys because my business time would be more efficient instead of waiting forever for the internet or documents to load. I wish I could say what Windows LIVE products I love using but given my current old laptop situation, I am not able to test anything new out because it takes so much processing time. If I win this laptop, I would be more than happy to give feedback on the Windows Live products that I am finally able to try out. I already subscribe to your Spanglish Baby Daily and I love it!! It’s wonderful to be a supported bilingual parent. It would be for me!!! This laptop giveaway would be for my mom, who at the age of 60 has learned to use a touch screen phone, text and email. 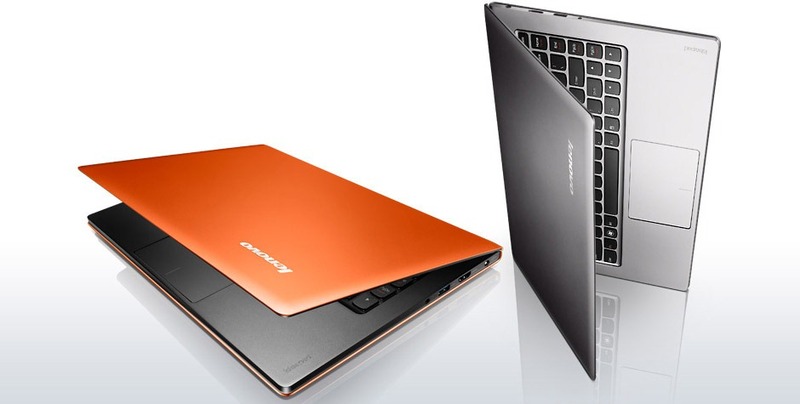 This would broaden her tech learning experience even further by having acess to all the Lenovo IdeaPad features. I personally like the Windows Live photo Gallery because it is so easy to organize and share pictures. This computer will be for my sister, Diana. I have four sisters que MAS que se merecen a new laptop. But, Diana needs it the most with 6 children between the ages of 4 and 16 yo. For the last month, she was been dealing with Sears to get her refrigerator fixed…the frustration and impotencia have had her crying to me on the phone. I think this would REALLY lift her spirits and show her that even mom’s tienen angelitos cuidandolas. This computer will be for my sister, Diana. I have four sisters que MAS que se merecen a new laptop. But, Diana needs it the most with 6 children between the ages of 4 and 16 yo. For the last month, she was been dealing with Sears to get her refrigerator fixed…the frustration and impotencia have had her crying to me on the phone. I think this would REALLY lift her spirits and show her that even mom’s tienen angelitos cuidandolas. Perfect Mother’s Day gift!!! I LIKE the photo gallery feature and know my sister would get great use out of it! I sure can use a new laptop! The one I have is dying on me! The screen is flickering and my batteries are don’t fully charge anymore! Whoops, forgot to mention that I love the live photo gallery! My siblings, cousins and close friends use it to keep each other up to date! And especially now that most of us have little ones and live in various parts of the US, its great seeing how the kids(& adults) are growing. I’ve subscribed to spanglishbaby emails. I’m following spanglishbaby on twitter and tweeted. I like spanglishbaby on fb. Windows Live Photo Gallery is GREAT! We would use it as a family computer since we only have a desktop now. What a great prize! If I win I will give this laptop to my daughters! SpanglishBaby is one of my favorite Facebook “friends”. I “liked” it a while back! This laptop would be for my mom because her’s is really old and slow. & i love the Windows Live photo gallery. I’m subscribed to you via email. this would be for our family! Microsoft movie sounds cool! If I win, the laptop will be for myself because my laptop is on its last leg and I have one more semester of school to finish up. Thanks for doing this giveaway! I also love the hotmail! This laptop would be for me but I would share it with my parents. I keep trying to get my father to use the internet. He never has I love the Windows Live Photo Gallery! It would be for me for Nursing School. I’d love to try the live chat. I’d like to say I’d give it to my wife, but I really do need it for school. The laptop would be for me, my laptop just broke down. I love the Windows Live Photo Gallery. I’m a Twitter follower and I tweeted. The laptop would be for me. I left my husband in charge of the twins while I went to my moms house to prepare things for the baby shower we were hosting for my sister in law. Turns out he feel asleep using my laptop and the twins got it and poured a whole bottle of Windex over it. I saved money for a whole year to buy me that $300 laptop and I only had it for 3 months. I had to borrow my brothers old desktop so I can log in. Thank you very much for the opportunity!! My favorite Windows product would be the live messenger. I get to talk to family that lives far away. This would be for my husband. I like Windows Live Photo Gallery. This would be for me to use since the kids hog the desktop computer. Microsoft Paint looks like a fun program! If I won I would give the laptop to my husband for the Video messaging! He has some travel coming up with his work and it would be fun to be able to chat live with him so my kids could see him! I’m a Facebook fan and I love your cover image! So cute! This will be for my daughter. I also love the Windows 7 Ultimate and the Live Photo Gallery! Subscribed to receive blog updates and subscriber-only content via email. my laptop JUST crashed today, I think it is finally toast, sigh. I would need this for ME!! Also, I like the Windows Photo management. I have SO many photos that I need to organize! Thanks for the chance! I would love this for my husband his just died! I love the Windows Live Photo Gallery! So much Fun to play with! This Lenovo IdeaPad will be for my family. It will be very useful with all the homework for both my kids and myself. I love the InstantResume and Windows Live Photo Gallery. This is a wonderful mother’s day gift for myself. I personally like the Windows Live photo Gallery because it is so easy to use. This laptop would be for my husband- he is wedding DJ and his laptop makes me nervous everytime we use it at a wedding and it hiccups or starts to freeze! It is definitely time for a new one for our business! And we use windows live hotmail for all our email communications with clients! Also subscribed to blog up dates! I think Skydrive is awesome. I also think I’d snag this laptop for my work and gift my current one in precarious condition to the kids. This would be for me and I would love to use Windows Live Photo Gallery to view my photos for my photo classes. Subscribed to this site via email. Followed you on twitter (@CSaulpaugh) and tweeted. This would be for me…It would be so great to have a laptop! I would win this laptop for my husband. my favorite program is windows live photo gallery. This would be for me. I need a lightweight laptop to make my business more portable. If I were to win it would be for me and my daughter to share since my oldest lent us her laptop to I can stay in touch with everyone, and I love that it has long life and live windows messenger and especially the photo gallery since I love my kids and they send me lots of pictures of there activities. So we can stay in touch no matter how far some of them are this would be a great help. What a fabulous prize! I would love to win this to give to my sister. She is a single mother of two and could really use this! Thanks for the chance! Esta Lenovo IdeaPad U300 es para mi familia! We would love to explore Microsoft Paint. Honestly it would be for ME…I need a new one BAD!!! I love Photo gallery!!! I am obsessed with photos taking them editing!!!! This would be for my husband. And I like the Messenger! This laptop would be for my daughter. I like the Windows Live photo gallery. This would be for my mom who needs a computer! I would definitely give this to my mom. She needs a laptop. She only has access to a computer at work. My favorite windows Live Suite …is the Live Photo Gallery. We have this on our computer at home and I love it. It is so easy to download images from our cameras and phones and then edit them . This laptop would be for me, and I love the SkyDrive storage! I think I would probably give the laptop to my dad. I love messenger. I subscribed to your blog updates via email. The laptop will be for me. I like the movie maker. Thanks! I would like to nominate Shelbie Huff for the computer. Shelbie is a mom at only 19. She is incredibly dedicated to her 2 year old daughter, Nora, and works tirelessly to provide for her. Although Shelbie comes from a rough background, she has truly come a long way and has grown tremendously in a very short period. Nora is the reason for this. She has been Shelbie’s saving grace and guiding light since the day she was born. If anyone deserves and needs to be recognized as an amazing mother, it is Shelbie. I first met Shelbie in Nov 2010, when she began training as a dental assistant at my practice. It was her first job. Although she lives an hour away from my office, she was always one of the first employees to arrive to work and one of the last to leave. She consistently maintained a cheerful attitude and never once complained when she was asked to do something. These personal qualities allowed her to grow incredibly quickly as an employee and as a person, in the short time she was with us. Now, at her current office of employment, Shelbie is acting as both a dental assistant and front office representative. One look at the numerous duties she performs is a testament to how hard working and dedicated she is. Now, to be honest, the previous paragraph describes many moms, not just Shelbie. So what sets her apart? Considering her background, Shelbie, by all accounts, should be a failure. But she isn’t. Life has given her reason after reason to give up. But she hasn’t. Growing up, Shelbie had a very unstable childhood, as troubles between her parents affected her in many ways. As a young teenager, Shelbie got into a lot of destructive habits (drinking, drugs, partying, etc), which got her into a lot of trouble. She cared very little about school. Her life was rapidly going in a very scary direction. Becoming a mom at 17, however, changed all of that. When Nora was born, I believe Shelbie was, herself, reborn. Since her parents were either unwilling or unable to help her much financially, and Nora’s father was denying her as his own, Shelbie knew she would be almost solely responsible for caring for her daughter. So, while many at her age were busy being kids, Shelbie took summer classes so she could graduate high school early and begin working. She took out a loan to attend dental assisting school. Once finished with school, she began training at my office, as I described previously. Shelbie’s story doesn’t end there, however. Since meeting Shelbie, I have come to know her extremely well. Throughout our friendship, I have seen her constantly pushing to make herself a better person, for the sole reason of providing a good life for Nora. As an employee, she is always looking to enhance her skills and knowledge in order to put herself in a better position financially. She is also planning on taking online college courses when she’s not at work, so she can get better educated and open up more opportunities for herself.. Unfortunately, she doesn’t have the money for a computer, so that’s where I hope you are able to help her! Just as important, she is working so hard to improve herself personally. She has completely cut drugs from her life, doesn’t party anymore, and rarely drinks any alcohol. Every day she simply goes to work, then comes home and takes care of Nora, that’s it. She has become completely dedicated to her daughter. And she has also had some success in getting Nora’s dad to make his own changes, and to be a consistent part of Nora’s life. Shelbie has truly had to fight tooth and nail to achieve this, and I admire her greatly for what she put herself through in order to get to this point with Nora’s father. It truly proves just how devoted Shelbie is to her daughter. In the end, Shelbie’s life is still very difficult. She still has many struggles financially and personally. Amazingly, even when times are tough, she still always puts Nora ahead of herself. When money or food is low, Nora eats first. Nora is clothed first. Nora is cared for first. Shelbie is certainly not a perfect mother (and who is?). But she works so hard every day to be as good a mom to Nora as she can be, and she does great! Unfortunately, she is virtually never recognized for it. And this is ultimately why I feel she should win this nomination. Not just because she’s deserves to be recognized, because many moms out there deserve recognition. But because Shelbie needs to be recognized. She needs to know that she is a good mother, an amazing mother, and an awesome person. Nora is what changed Shelbie for the better, and Nora is what keeps Shelbie going. Though she doesn’t talk about it much, I know Shelbie sometimes fears that she isn’t good enough for Nora or isn’t doing enough for her. This is obviously not the case. And for Shelbie to know this would mean so much to her! As I said before, Shelbie doesn’t have the money for a computer. She’s found financial aid to help cover the cost of the courses, but it won’t cover a computer, which is such a shame! So, if she were to get this laptop, it would make a huge impact for her as it would remove the biggest obstacle for her beginning online courses. Shelbie has inspired me, probably more than she realizes. Because of her, I appreciate my own parents, my own life, so much more. I see how lucky I am to have the life I have. And I have a great deal more respect for young moms, like herself, who struggle everyday and work so hard at life. I am so inspired by her (as you can probably tell by my long post, sorry!) and I hope her story inspires you too! My favorite suite would also be Photo Gallery. I also enjoy Movie Maker. Both of these programs allowed me to make a slideshow of Shelbie & Nora for Mother’s Day that turned out great! This would be for me. I am planning on going back to college to prepare myself for going back in to the workforce after being out for several years due to being a caregiver for a family member and this would help me soooo much as right now I have an old desktop computer. The Microsoft Live Suite product that I think would be my favorite is the Messenger because most of my family is out of state and we im each other alot. I like using windows live messenger to chat to far away family and also video chat to them. I subscribed to emails and confirmed. I forgot answer the other part of the first question – If I won it would be for me. If I were to win this laptop I would keep it for myself, and here’s why. I had a desktop Mac computer fully loaded with software that I gave to a relatively who is involved in ministry. That left me with an acer netbook that has no working keys. Seriously, it’s true! The family member I gave the computer to was decent enough to buy me a keyboard to plug into my laptop. It is so tacky, and it sometimes over loads my computer system. I have to walk around with a key that is bigger than my netbook, and that is supposed to be used on a desktop computer which I no longer have. I think the Window’s Live for video chatting. It is great to have when you need to chat with family members face to face. My family actually uses the video chat for family meetings from time to time. Thank you for hosting this very generous, and much needed giveaway. This would be for my son…he really needs this for school!! Also, the messenger is my fave. We have family in different states so it’s great to keep in touch! This laptop would be for me and I would give my current laptop to my daughter. I think I would like Microsoft Paint and would have some fun with it! Cheap Nike Shoes, Nike Basketball Shoes, Nike Running Shoes, Nike Golf Shoes Cheap Online Store. Free Shipping Order Over $150. Sale new Nike Sneakers, Air Jordan Sneakers, Air Force 1s, Nike Dunks SB,Cheap Jordans from nike outlets and factory stores, also Nike wholesale – Jordan Shoes wholesale. We wholesale nike shoes for cheap with discount.